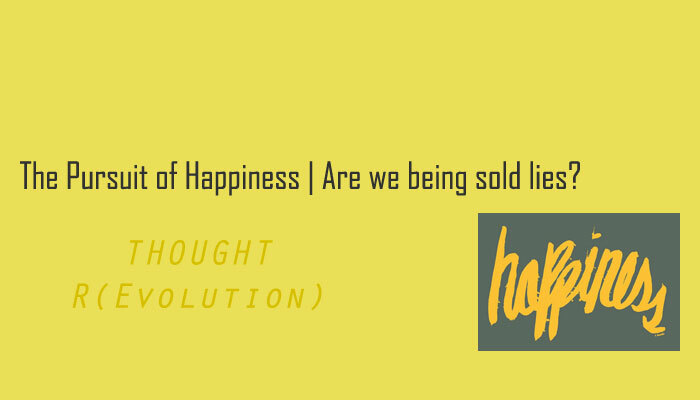 The Pursuit of Happiness | Are we being sold lies? In the developed world, a majority of us have access to all our basic human needs, the ages of fighting to survive have long passed. Now, we’re seeking a less physical pursuit – one of happiness. It seems the media are constantly telling us how to reach this elusive state. But are we being forced towards a journey to “find” happiness that may lead us to compromise ourselves? Advice on how to be happy is everywhere, a simple Google search for “how to find happiness” yields 100 million results and nearly 40,000 books on the topic available to buy on Amazon. People are very willing to pay for guidance on how to reach happiness, the self- help industry making billions in profit, when in fact there can be no set formula to self help and happiness. The idea of what it is to be happy is problematic in itself because of its subjectivity. Any number of things can bring an individual ‘contentment or pleasure’. A man could say it’s murder that makes him happy, which most of us would frown upon. Although it may seem an extreme example, it’s true to say destructive or immoral behaviors can be someone’s source of happiness. As Australian social researcher Hugh Mackay said, the notion that individuals should do everything for the sake of happiness is a dangerous one. Society cannot simply affirm all actions because it ‘makes us happy’and maintain civilization. A comic by The Oatmeal highlights how happiness is often portrayed as a binary state – so if you’re not happy you must be unhappy. We’re told to strive for happiness as if it’s an attainable physical destination.Happiness, like any emotion isn’t a physically tangible object it, yet we’re taught to pursue it as a state of permanence. Feelings are far more fluid than this, coming and going with the tides of life in different measures. We don’t have to constantly be at a peak of happiness, in fact that would be almost impossible, but we can experience happiness in special moments. This world can be dark place with disasters occurring constantly on a global scale, for people to walk around constantly jolly could be seen as dismissive and lacking empathy. That’s not to say we should spend our lives down because of injustices’ in the world. However, sometimes acknowledgment of what is happening around us both inside and outside our ‘bubble’ require us to feel something other than happiness. We can’t live avoiding negative emotions find ‘complete happiness. This only devalues them, when in fact sometimes we anger to drive change, sadness to bring empathy or fear to push us further. Happiness isn’t something we are born to strive for innately. The fixation has been developed by the western media. In many films, books, TV both fictional and non-fictional where the ultimate goal seems to revolve around happiness. In a study, Taiwanese and American students were asked their opinions about what happiness is; many of the American participants considered happiness to be the highest value and supreme goal in their lives, whereas Taiwanese participants didn’t. This shows a clear difference in cultural values, in Eastern cultures, the emphasis is on attainment social harmony with community and belonging in high regard. In Western cultures, the it’s the pursuit of individualistic self wants tends to be celebrated and with this comes the attainment of happiness. It’s important to see that other things such as kindness, fulfillment – can exist independent of happiness and can be the driving forces in our lives. A more important factor than happiness is meaningfulness and wholeness in life. It’s about finding what matters to you and making that reflect your action. Aristotle believed that happiness was in fact the by-product of a life of virtue. Today we’ve come to associate happiness simply with the idea of “feeling good” in the avoidance of pain and chase of gratification through pleasure. People may find it’s goodness, passion or any other myriad of things that are important to them. These philosophies shouldn’t be trivialized, but respected and understood. Once we begin thinking beyond happiness, we give ourselves the chance to explore what matters to us and live in the most fulfilling way.